The company was originally established back in 1975, however, under the different name. In 1981 the company first went public under the name of International Gaming Technologies (IGT). Their first product that launched them directly into success was the video poker machine. The company started spreading and developing new, innovative games, such as the Nevada Megabucks, the world’s first ever progressive slot machine, that came with the jackpot prize of an astonishing 1 million US Dollars! IGT continued with innovations in the online gambling industry as well. Wheel of Fortune, one of the most ever played online pokies, has been released back in 1996. It was among the first progressive online slots. Their Mega King game was also revolutionary, introducing a multi-denomination feature. After acquiring the Wager Works company in 2005, the company reached the peak of its potential. However, in 2014 an Italian-based gaming software company, Gtech has begun merging with IGT. This process was finalized in 2015 under the name of International Game Technology PLC. More info about the company in the following parts of this IGT top software review! Nowadays, games developed by IGT can be found at the vast majority of real money casinos and mobile casinos. The diversity of games produced by IGT and their long-term experience are the main facts why their software platform is considered as one of the top software in the industry. IGT produces a wide range of various online casino games, including online slot machines of all kinds, online Video Poker platforms, a high variety of table games (several versions of Roulette, Blackjack, online poker, etc.) and Live Casino games as well. However, the foundation of their game collection is certainly made of online slot machines, especially the ones from the Interactive series of pokies. All games are compatible both with a desktop/laptop and smartphone/tablet platforms. They can be accessed in instant play mode, directly via the web browser app of the chosen device. 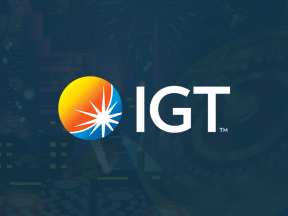 The IGT software developing company offers over 100 various free slots online, including classic ones, with 3 or 5 reels, progressive pokies to the new, modern video slots with high-quality graphics, massive payouts and interactive storylines and gameplay. The list below displays several most popular online pokies developed by the IGT company, alongside with their basic characteristics. The full list of games produced by IGT can be overviewed by visiting their website, where you can review & free play them. Enchanted Unicorn, 5 reels, 20 paylines, RTP percentage of 96.02%. Unfortunately, the company can’t be considered as one of the superhero providers, since it hasn’t released any superhero slots software. However, the company has achieved some substantial partnerships which allowed it to release astonishing “official” slots based on certain movies or shows, such as the Avatar slot, Ghostbusters or the Ellen slot, based on the TV show hosted by Ellen Degeneres. The company is currently offering somewhere around ten different version of Roulette. As for Blackjack, the company has produced only one version of it, known by the name of Player’s Suite Blackjack. The game possesses a very good return to player percentage of 99.5%. Side bets are not allowed. It comes with an interactive, totally user-friendly interface with plenty of options that can be adjusted according to the player’s needs. IGT offers a high variety of superhero heroes casino games to enjoy, so the only thing remaining for one after reading this IGT software review is to find the casino with the best offers in terms of bonuses, especially no deposit ones, and to start enjoying all those high-quality games!